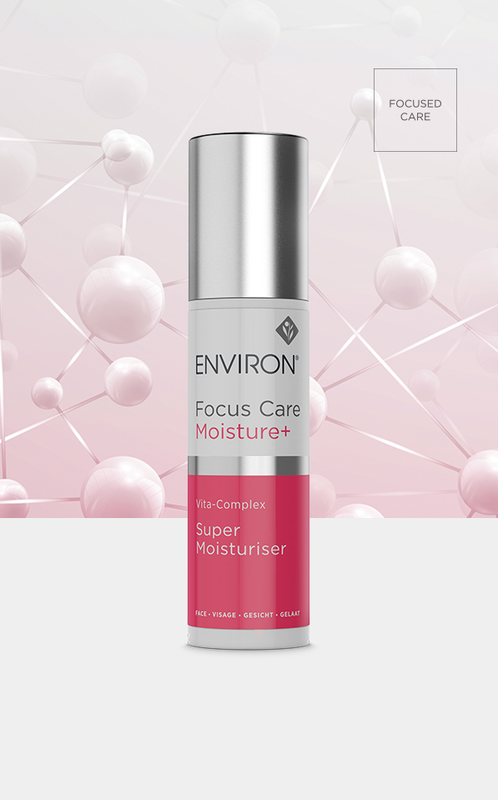 A luxurious cream, containing a variety of dynamic moisturisers and emollients that may assist in enhancing the skins barrier function as well as natural moisturising factors. Vitamins and antioxidants enhance the user experience by adding to the overall protection from the effects of free-radical damage, resulting in skin that feels nourished and refreshed. It is easily absorbed, leaving the skin feeling comfortable, hydrated and smooth. Apply your recommended Environ vitamin A moisturiser. Follow with Super Moisturiser+ and apply to your face, neck and décolleté for more effective hydration results.